Definition of Herbal Medicinal Plants: What are Herbal Medicinal Plants? Herbal Medicinal Plants are natural plant substances used to treat and prevent illness and aid the healing process. Spiritual Healing is undertaken by the Shaman or Medicine Man and is based on the healing practices and beliefs of Native American Indians combining elements of spirituality, ceremonies, rituals and Herbal Medicinal Plants to heal people. Herbal Medicinal Plants are said to affect the spirit or soul of the person. The Shaman also had to know the right time to harvest herbal medicinal plants. The majority were best collected during the dry season. Plants were picked when the plant is about to bloom. Flowers were picked just before, or shortly after opening. Seeds were gathered after the fruits had completely matured. Once the Herbal Medicinal Plants had been harvested they then had to be sorted and all unwanted materials were removed from the cache. Some were washed and dried and they were all stored safely. Herbal Medicinal Plants could retain their healing properties fro 6 months. The Medicine Man needed to know the properties of Herbal Medicinal Plants, how they should be prepared and the quantities that were safe to administer. Herbal medicinal plants could be used in many ways, using different parts of the plant including the leaves, flowers, juice, bark and roots to make powders, poultices, ointments, tinctures, salves and teas. A Poultice was used for boils, abscesses, chest infections and sprains. Chopped herb or powdered seeds are mixed with boiling water to make a pulp that is piece of hide or leaves and applied to the affected area while hot. An infusion is used to treat ailments such as colds and flu. 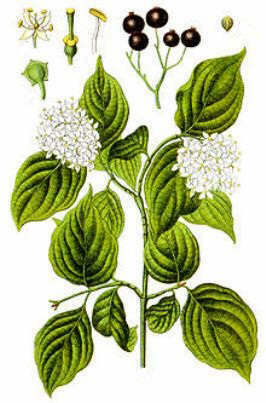 The leaf, flower or part of the plant is used and steeped in hot water (not boiled). Best used with leafy and tender herbs as opposed to roots and barks. A decoction is used to treat a variety of illnesses including to treat kidney disease, swelling, and stomach problems. Stems, roots, seeds and bark are mashed and the boiled to primarily extract oils and mineral salts, rather than vitamins. Essential oils are used as an eyewash, mouthwash, or to treat cuts and abrasions. Essential oils are distilled from plants or by cold extraction. Usually they are mixed with water and used as an inhalant or as a tea.